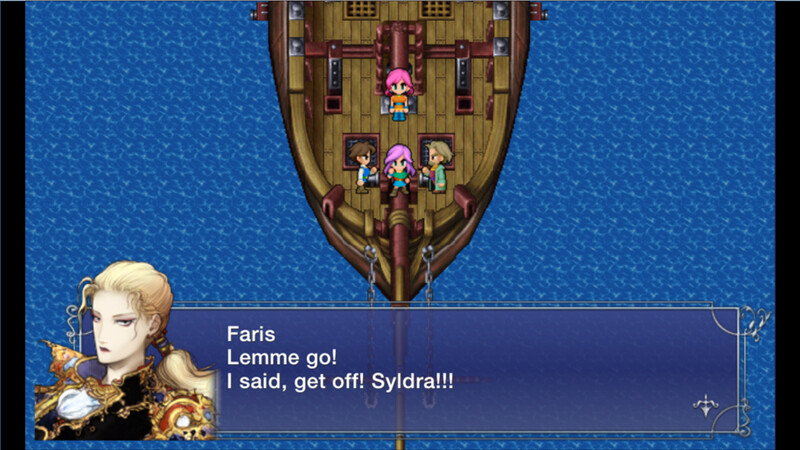 When it comes to JRPGs, few defined the genre quite like the Final Fantasy series. Sure, its definition of the word "final" is shaky, but Square still turned linear stories into smash hits every single time. The appeal and charm of these games is so strong, Square Enix can re-release classic games on new systems and instantly find a new audience. The latest example is Final Fantasy V, a 1992 game which didn't reach North America for six years and was re-released on PC last week. That's not to say all Final Fantasy games are equal - Final Fantasy V proved that as well. 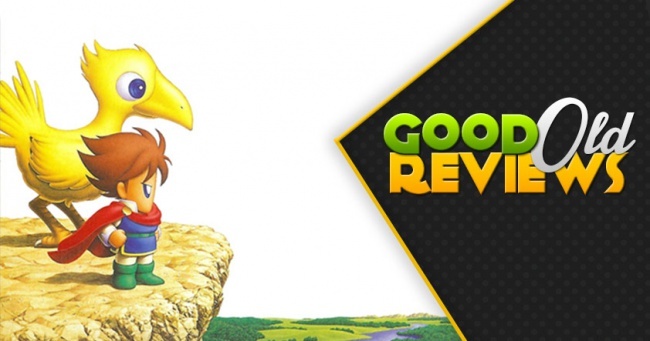 This sequel is an unusual fit compared to its Super Nintendo-era siblings. Its story and characters are incredibly one-dimensional. Pacing is all over the map. Few plots twists feel unique, impactful, or especially surprising. Yet just when you start thinking the game isn't worth continuing, that classic JRPG gameplay starts pulling you back in. 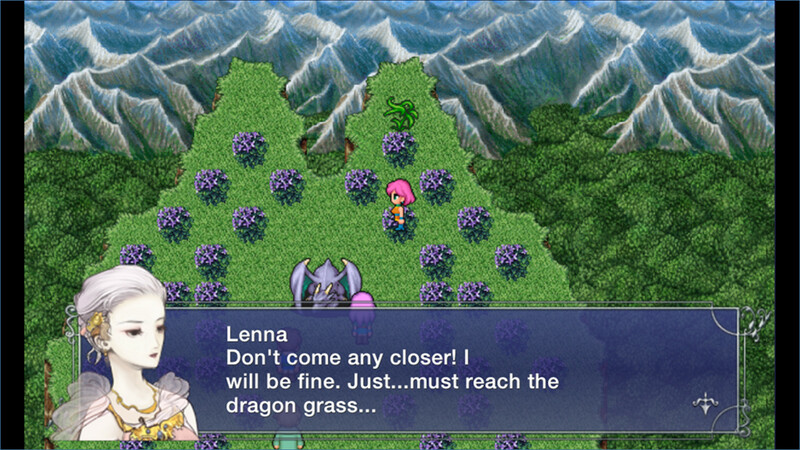 It's a testament to Square's design that Final Fantasy V can absorb our attention for hours, even twenty years later. Final Fantasy V opens in a world where the elements - Earth, Fire, Water, and Wind - are powered by four crystals. Over the course of a millennium, human kingdoms built civilizations around them, mastering the elements and crafting steampunk technologies around their energies. But in the process, each crystal has become damaged and runs the risk of being destroyed from the strain. Not only will this make the planet uninhabitable, it would release Exdeath, an evil being trapped under their power. To prevent such an event, the crystals empower four adventurers to defend them from further harm, starting a journey across two worlds threatened by Exdeath's malice. 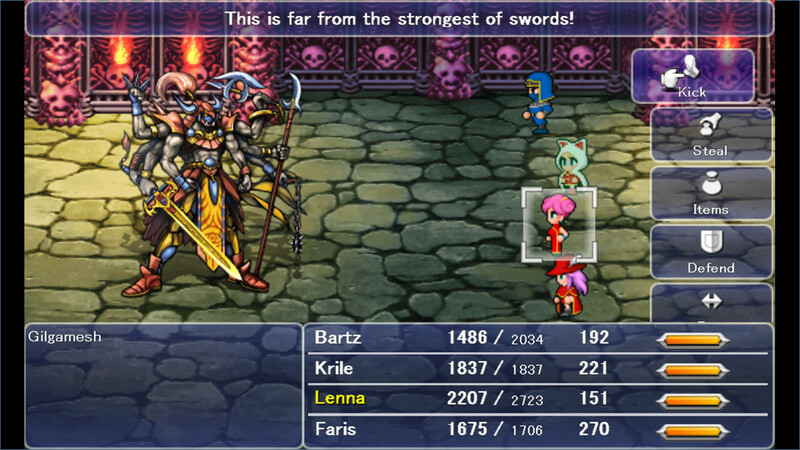 Four main characters join your party within the first hour of the game. You start as Bartz, an archetypal hero with no parents and a craving for adventure straight out of The Hero With A Thousand Faces. Next is Leena, a princess who courageously follows her father into danger when the Wind Crystal is threatened. 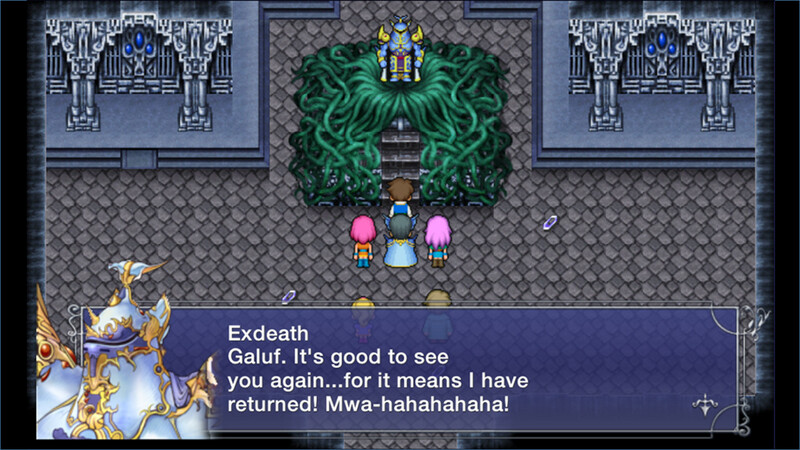 You'll also meet Galuf, an old adventurer who lost his memories when the disaster began. Finally there's Faris, a female pirate captain and rogue who initially captures the party, but changes her mind and joins them. Later in the game, Galuf's granddaughter Krile also becomes a playable character, but you'll never have more than four party members at any time. From these descriptions alone, you can probably guess everything about the characters and their arcs. Bartz learns more details about his heroic father. Leena is expected to assume her father's responsibilities, but is drawn to a quest outside her castle walls. Galuf has knowledge of the danger threatening the world, but can't remember thanks to his amnesia. It's adequate but incredibly basic, which is a real shame compared to the character arcs of Final Fantasy IV. Faris is something of an exception here, quickly establishing herself with a well-rounded personality. She's a charismatic pirate captain who dresses like a man to avoid advances from her crew. Her best friend is a sea monster. 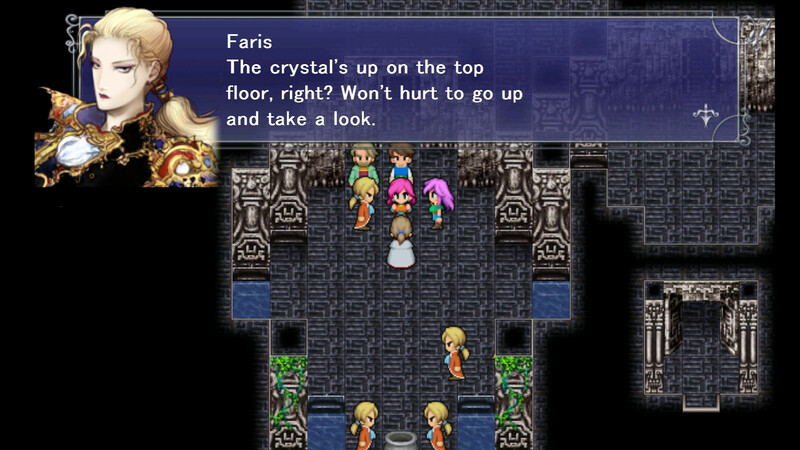 At one point, a bounty hunter knocks Faris off a cliff, and she just grabs the wall and climbs back up like nothing happened. Why aren't there more games about this hero? I'll admit most of her arc is still predictable, from the revelation that she's a woman, to a family connection with another member of the party. That said, seeing this hardened pirate cry "Papa" mid-game absolutely tugs on the heartstrings.